"Wouldn't it be great if you could combine what the musical theater does with opera, to create a legitimate opera that also has tunes?" The very man that spoke those words, Stephen Schwartz, the Oscar and Grammy-winning composer of musical theater gems like Wicked, Enchanted and Pippin, is attempting to do just that. 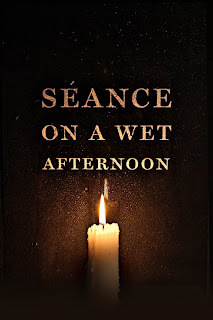 Seance on a Wet Afternoon, Schwartz's first opera, will have its world premiere on September 26th with two additional performances in October. Schwartz wrote both the music and libretto for his opera which is a psychological thriller about a medium, her husband and the spirit of their deceased 11-year-old son. Commissioned by Opera Santa Barbara and executive-produced by Michael Jackowitz, the opera will be directed by Schwartz's son Scott Schwartz. This will be the first major collaboration for father and son, although Stephen Schwartz did contribute music to Scott Schwartz's play My Antonia which had it's West Coast premiere last year. Maestro Valery Ryvkin will conduct a cast of singers with very versatile bios. The cast includes renowned soprano Lauren Flanigan who plays Myra, the medium, and baritone Kim Josephson who plays her husband, Bill. Heidi Ettinger will provide the scenery with Alejo Vietti providing cosumes designs. The website devoted to Seance has all sorts of information on it- including musical clips, video interviews, cast and crew bios, merchandise and how to get tickets. If Schwartz's idea is to combine what the musical theater does with opera - they've already started on the right foot with the website and publicity. I will be following this and will bring updates! I like this concept. I wonder why it took so long. Most people prob think Phantom of the Opera is what he is talking about.